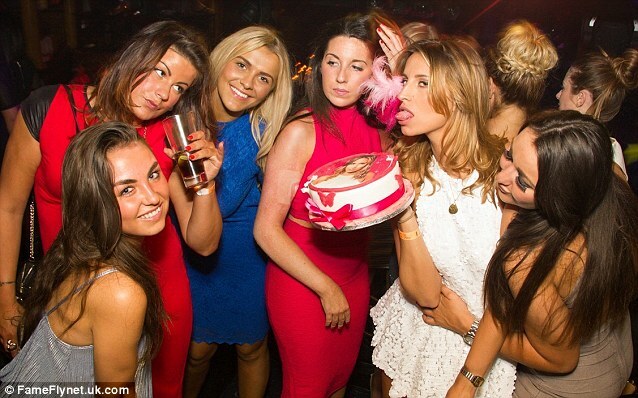 The girls were dressed to the nines as they descended on London's West End to celebrate Fearn's 23rd birthday. With Sam's sister Billie, and a gaggle of perma-tanned girls in tow, the Essex crew certainly brought the ruckus on Saturday night. The birthday girl opted for a white halterneck dress with metallic heels while her bestie Sam, 22, wore a one-shoulder yellow blouse with a black and silver zip-detail skirt. Billie, 23, stuck with florals in a super tight bodycon dress with red platform heels, while the rest of the girls followed suit in a mixture of thigh skimming dresses and figure-hugging frocks. Ferne clearly was having a good time, and recovering from the shock revelation that her boyfriend Charlie Sim had been photographed in a compromising situation with another woman on his holiday in Ibiza. The couple - who ironically were introduced on the ITV2 reality show during their three-year anniversary party - put on a united front a few days earlier when Charlie took his girlfriend out for dinner to celebrate her birthday. Clearly Ferne had decided to forgive her boyfriend of his indiscretion, that took place while she too was on the holiday island. Charlie treated his TOWIE co-star to a night out at The Bodyguard musical at London's Adelphi Theatre, before heading for a slap-up dinner at the swanky Sushi Samba restaurant at the top of the Heron Tower.. 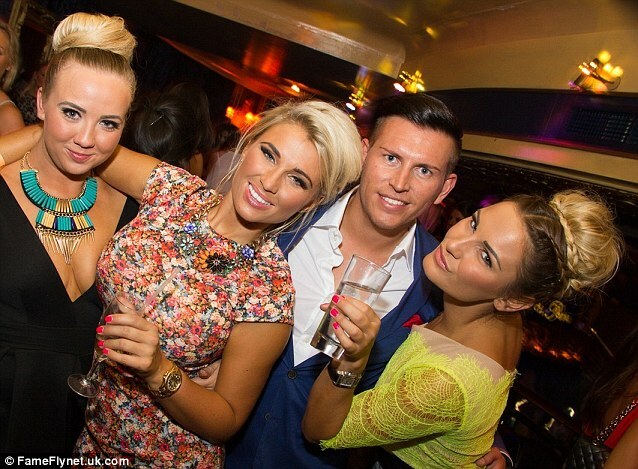 But on Saturday night, Charlie was far from Ferne's mind as she headed out with her girls to take on London in Essex style.